Reports of Babchenko being shot dead next to his apartment emerged late on Tuesday. Many international organizations immediately offered their condolences and urged the Ukrainian authorities to carry out a thorough investigation. On Wednesday, the journalist made a surprise appearance at a press conference organized by the Ukrainian Security Service to announce that his assassination was staged in order to foil a real attempt on his life. "The whole story is tailored according to the already known 'world' models, hence the words about 'solidarity' with Ukraine, which were significantly pronounced by the Kiev law enforcement officers hoping for another round of expulsion of Russian diplomats or something similar," Zakharova wrote on Facebook. According to Zakharova, people should not rail at Babchenko, but "feel sorry and happy that he was so lucky, and he was alive." "Judging by the television show, he did not even understand what was done to him. He sincerely (most likely, even very much) believed that he was saving himself and in parallel doing a great deal, well, maybe also potentially profitable. In such a manner, he was developed by intelligence services, and then they took it and rudely used him for their own ends, turning him into a real hostage forever," the spokeswoman added. Earlier, Zakharova called the fact that Babchenko was alive "the best news," adding that the SBU operation was used for the purposes of propaganda. Reporters Without Borders Secretary General Christophe Deloire, in turn, condemned the operation, arguing that it was used as means of information warfare. 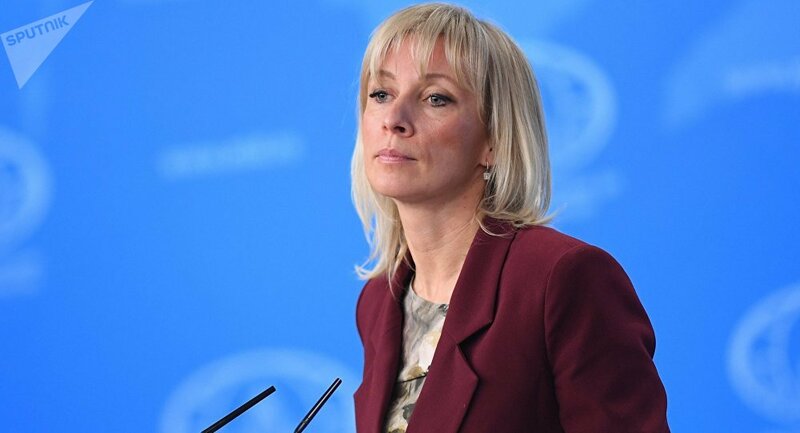 Meanwhile, a spokesperson of the Russian Embassy in the United Kingdom said that the situation around the staged murder of Babchenko was yet another episode in a row of plotted incidents. "Concerning the situation in Ukraine, Kiev showed his ‘care’ about journalists by arresting and charging journalist Kirill Vyshinsky … Unfortunately, the use of fakes became a trend and the Western countries seem to have joined it," the spokesperson added.